Press releases and Viking Cold in the news. BOSTON–(BUSINESS WIRE)–The Greater Boston Food Bank is starting the year off with a 75 percent reduction in energy use during targeted peak hours and substantial cost savings thanks to a partnership with Eversource and the installation of a new Viking Cold Solutions thermal energy storage (TES) system. The TES system for the Food Bank’s refrigeration units was installed at its 117,000 square-foot, high-efficiency Yawkey Distribution Center in South Boston. 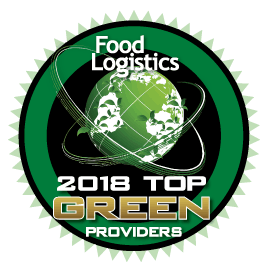 The new TES system, developed by Viking Cold Solutions, has reduced electrical consumption at the Greater Boston Food Bank’s energy-intensive, cold storage facility while improving temperature stability inside their freezer. Cold storage facilities, such as frozen food warehouses and grocery store walk-in freezers, have the highest energy demand per cubic foot of any category. During peak energy use periods, they can account for up to 70 percent of the total electric bill for commercial and industrial organizations. Power providers are looking for new distributed energy resources to help with demand management across the grid. Some offer flexibility and some offer efficiency. This article on Utility Dive explains how Viking Cold’s TES provides both energy storage for flexibility and added efficiency to C&I refrigeration applications. 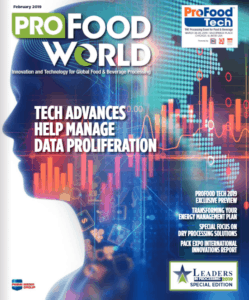 ProFood World, a leading food and beverage manufacturing publication, recognized Viking Cold’s Thermal Energy Storage technology as one of the technologies empowering food producers to lower energy costs and to help reach corporate responsibility and sustainability goals. 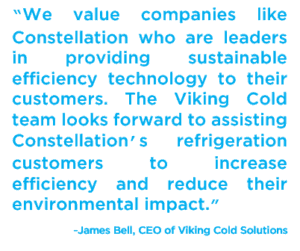 HOUSTON (Business Wire) – Viking Cold Solutions, the leading Thermal Energy Storage (TES) provider, will work with Constellation, an Exelon (NYSE:EXC) company and a leading competitive energy provider, to offer its commercial and industrial refrigeration customers access to Constellation’s unique Efficiency Made Easy® (EME) program. 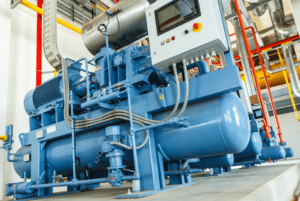 The EME program helps businesses implement optimal energy conservation measures, such as Viking Cold’s TES systems, with no upfront capital expenditure. The cost for the upgrades is included in the monthly charges that appear on their Constellation power and gas supply bills. Modern Equipment Manufacturer covers the news, trends, and advancements being made in the manufacturing and cloud-enabling of equipment. They interviewed Viking Cold’s Vice President of Sales & Marketing, Collin Coker, after his presentation at the ASHRAE Winter Conference in Atlanta. Read the article about how Thermal Energy Storage is improving the cold chain by increasing refrigeration efficiency and providing valuable insight and data to food producers, foodservice distributors, and cold storage companies around the world. 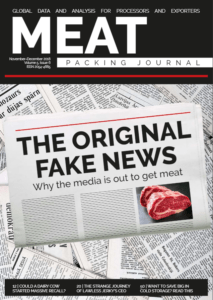 Meat Packing Journal published an article presenting the improvements TES brings to low-temperature cold storage facilities. 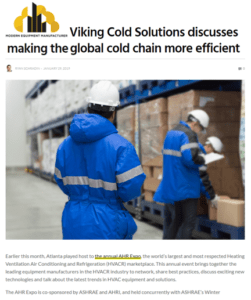 Part of that article was an interview with Viking Cold’s Vice President of Sales & Marketing, Collin Coker, to discuss how TES improves efficiency and how Thermal Energy Storage as a Service (TESaaS) is helping cold storage operators and grocers add TES with no upfront investment and guaranteed savings every month. 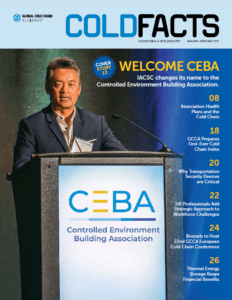 Cold Facts, the official publication of the Global Cold Chain Alliance (GCCA), has published an article highlighting one of our case studies and the resulting benefits of Thermal Energy Storage (TES) in commercial frozen food warehouses. Findings include 35% added efficiency and the flexibility to shed refrigeration load for 13 hours each day while improving temperature stability inside the freezer. You can view the full Cold Facts article with charts and graphs HERE and read the full case study HERE. The commercial and industrial application of our thermal energy storage (TES) technology has shown tremendous results in an ammonia-refrigerated frozen food warehouse in California. 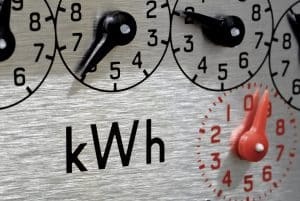 By storing energy in the form of cold and delivering discharge times up to 13 hours per day TES provides utilities a behind-the-meter distributed energy resource (DER) to help manage the inflexible and difficult demand profile of the cold storage industry. Utility Dive has posted an article outlining the temperature, peak demand, and consumption benefits of TES in cold storage facilities outlined in our case study. 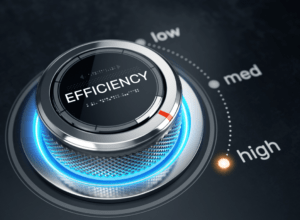 The fastest ways to lower energy costs are adding efficiencies to the facility and adding flexibility to how and when to purchase the power that drives refrigeration equipment. This is similar to achieving better fuel efficiency for automobiles on highways versus city streets and throwing in some downhills to further reduce fuel costs. Read more about five specific strategies that lower refrigeration energy costs in frozen food warehouses on Supply Chain Dive. Viking Cold’s first installation at Red de Frios in Monterrey, Mexico is also the first energy management system of its kind in the Mexican cold storage industry. MONTERREY, MEXICO and HOUSTON, TX (Business Wire) – Viking Cold Solutions, the leading Thermal Energy Storage (TES) provider for the low-temperature cold storage industry, announced its partnership with Red de Frios to manage energy usage in one of its 2,500 square foot frozen food warehouses at Almacén Ruíz Cortines in Monterrey, Mexico. Viking Cold’s patented TES system reduces overall electricity consumption and shifts energy usage to less expensive periods of the day. This project is the first of its kind in Mexico, the second largest economy in Latin America, and marks the first installation of Viking Cold Solutions’ technology in Latin America outside of the Caribbean. Viking Cold’s system was configured to operate specifically for Red de Frios’ utility rate structure and facility requirements. 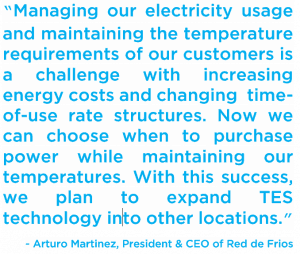 During the months of July, August, and September, some of the warmest months of the year, Red de Frios has seen a 20% reduction in energy consumption due to the TES system’s added efficiency. Additionally, during daily periods of high energy costs when refrigeration equipment is cycled off, Red de Frios has seen a slower increase in temperatures and greater temperature stability. Contact us for a free facility evaluation, press inquiries, partnership opportunities, or general or sales inquiries.